I love boyfriend jeans! Perfect for casual days…and even not-so-casual days, when dressed up with heels and a pretty top! So it’s been coooold lately (my idea of cold, anyway – I generally love the heat we have in the tropics!) 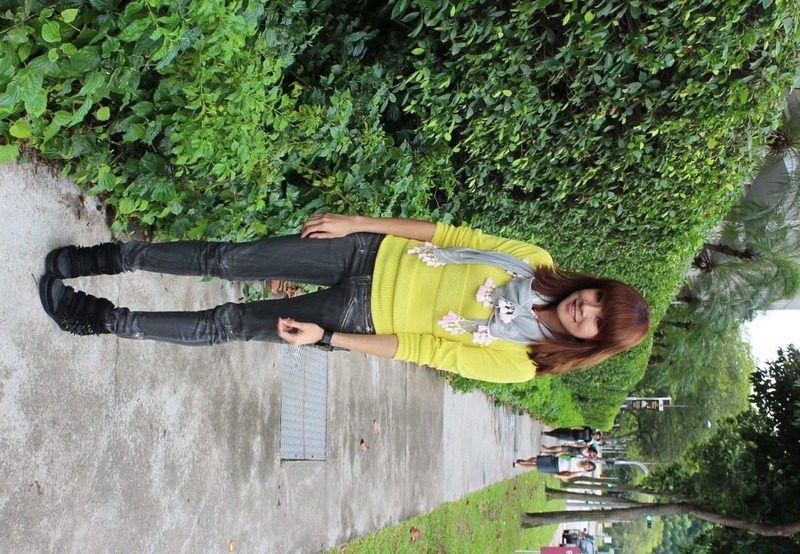 but pretty nice to have the chance to wear my ‘Autumn/Winter’ wear here in Singapore. Not sure the lady behind me agrees on the weather situation though! Love the floral embroidery on these denim shorts! Was so pleased to find this top that got hidden beneath the massive pile of clothes I have. I love a vibrant print, and I’m always on the lookout for unique ones. This jungle-inspired one is perfect for summer!